It's really not that bad. As far as Monday's go this one could have been a lot worse. The only real frustration today is that Little Miss woke up AGAIN last night worrying about when Scott was going to work (a new and utterly annoying concern of hers) and now she has refused to nap at all, so I know we are in for a LONG night ahead. Sigh. Dude, I wish someone would beg me to nap. 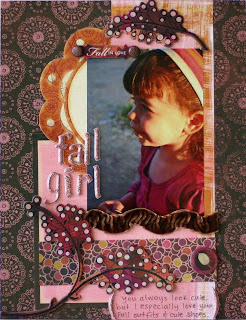 Well, the new ScrapTiffany challenge is up and it is a super fun one. 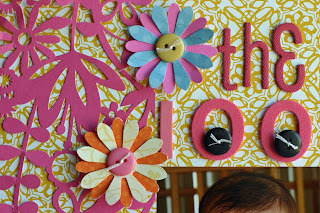 The challenge is to use homemade flowers on your layout. I'm not a big handmade embellishment person so I love being challenged to try something different. I made 2 types of flowers. The first were simple layered punched flowers. I punched patterned paper and cardstock with 2 different punches. Since the punches were made by different companies they were slightly different sizes and shapes and actually layered quire well. I added some buttons for flower centers. The second flowers I made were tulle roses. These are super easy and look like they take more skill and time than they do! I simple fold a piece of Bazzill tulle length wise in half then roll around my finger and finally staple at the bottom. After attaching to the layout I simply hide the bottoms under ribbon. 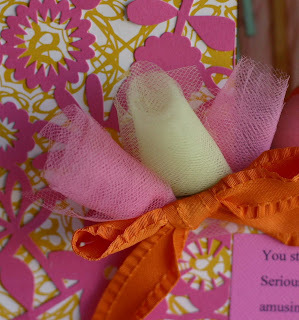 Go on over and check out the challenge and the other designers ingenious handmade flowers. 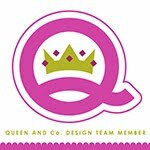 Take the challenge and email it to Tiffany at Tiffany@ScrapTiffany.com for a chance to be the Guest Designer for the month of November. Obviously the hardest part of Monday is knowing you have a full week before enjoying another weekend. This past weekend was so nice. The weather is finally taking a turn for the better. Sunday morning it was cooler outside than in the house so we ate breakfast on the outdoor patio. The kids loved it -- especially the fact that we were eating outside in our jammies. And we love demanding that they get some of their energy out in the backyard as a prerequisite to re-entering the house LOL! One of their old favorite activities that they are enjoying again is "cleaning" the river rocks that border the pool in their water table. Not really sure if rocks get clean, but hey, it is something they can do peacefully together for a long time so I am all for it. Have a great week! 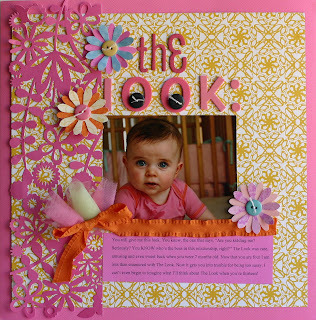 "The Look" -What a darling layout! Gorgeous layouts & love those tulle roses! Great layout, I love the tulle flower, very creative. Love the new blog background too! What great layouts! I lOOOVE the tulle roses, such a fabulous detail. And CUTE pics of your kiddies!! That is a gorgeous layout and I love those tulle flowers! Your other layout for Coordinates was very cute too. Your kids are adorable!